https://panphage.bandcamp.com/album/storm Vinyl release of PANPHAGE's highly acclaimed debut album "Storm". First time on Vinyl. Comes on classic black vinyl with sleeve on reverse board. Includes download card. 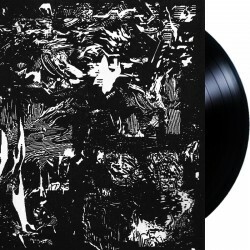 Perished - Through the Black Mist ... LP https://perished.bandcamp.com/album/through-the-black-mist gatefold LP with silver-foil blocked print. 180g green vinyl. Jacket with metallic gold foil printing. Woven patch. FINAL RESTOCK! Limited BLUE vinyl edition of this cult album - normally Iron Pegasus mailorder 'exclusive' release. Solid gatefold sleeve with inlay. https://profoundlorerecords.bandcamp.com/album/outre 2017 pressing bronze vinyl with black splatter. Comes in a Gatefold cover (printed with copper ink on black) with re-worked layout (under the bands supervision) and an exclusive audio mastering for this LP pressing only. The original cover artwork is featured inside of the gatefold cover. https://www.youtube.com/watch?v=4OuY2Rru1qY 2017 re-press onbrown/beer marbled vinyl in a Gatefold cover. Hells Headbangers. https://profoundlorerecords.bandcamp.com/album/swarth Pressed on swamp green/beer marbled vinyl with laser etched artwork on side D. Comes with a 16-page LP size booklet in a Gatefold cover. https://ironboneheadproductions.bandcamp.com/album/possession-his-best-deceit Finally back in stock! Final restock - down to the last 3 copies. Killer mid-tempo old German Black Metal. Limited edition of 300 hand-numbered copies. Includes a double-sided 12x12" insert. https://www.youtube.com/watch?v=G6b7kJK46HY 10" WHITE vinyl cut at 45 rpm for optimum fidelity. Etching on B-side in deluxe jacket specific to this edition with gloss laminate and double sided insert. Strictly limited to 500 copies worldwide.